Progressive Engineering Company (PEC) is a precision gear and machine parts manufacturer. Established in 1923, our company has celebrated many years of service. Our door is open for visits; call us to schedule a tour. We are located in Chester, Virginia 13 miles south of Richmond. The company provides "job shop made to order parts" for many Fortune 500 companies, manufactures, parts companies, and metal processors in the Richmond area and throughout the United States. We also rebuild gearboxes; have the largest surface grinder in the area, and a full compliment of CNC and manual machines for general machine parts production. PEC is a longtime member of the American Gear Manufactures Association (organization that sets the technical standards for gear manufacturing) with production and quality control that meets AGMA's rigid standards. 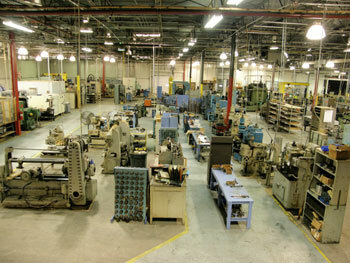 Manufacturing is done in a modern plant utilizing manual and computer numeric controlled (CNC) machines with bar coded order and process routers. In 1992 an Ion Nitride Heat Treatment department was added to provide low distortion hardening of high quality parts in order to reduce cost and increase the life of machine parts. In 2001 we expanded with the addition of Progressive Heat Treating Co. (PHT). A commercial heat treating company that specializes in plasma ion nitriding, vacuum hardening, oil hardening, induction hardening and carburizing.